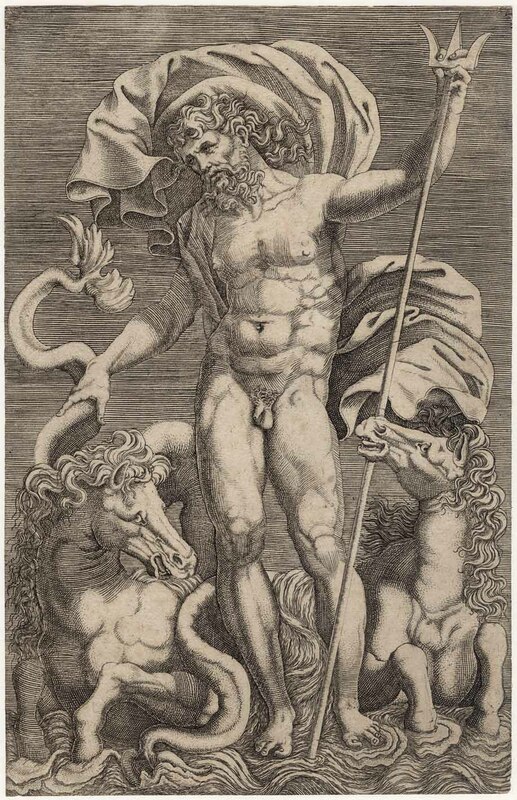 “Neptune with Two Marine Horses”, c.1560, after Perino del Vaga (1501–47). Engraving on laid paper with a watermark, trimmed to the image borderline. 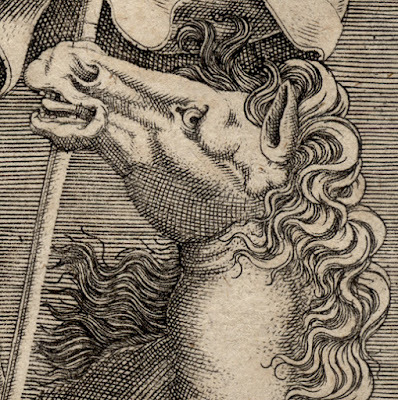 Note that the BM’s impression is in a damaged condition whereas this impression is perfect. 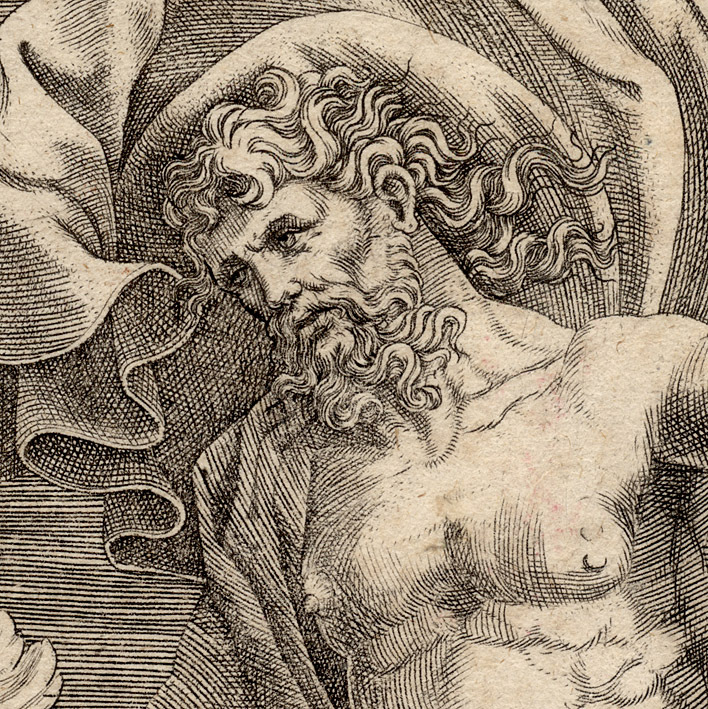 Condition: a superb lifetime impression from the 16th century of the utmost rarity, trimmed at the image borderline, with a watermark and in exceptional condition for its age with remnants of corner mounts (verso). 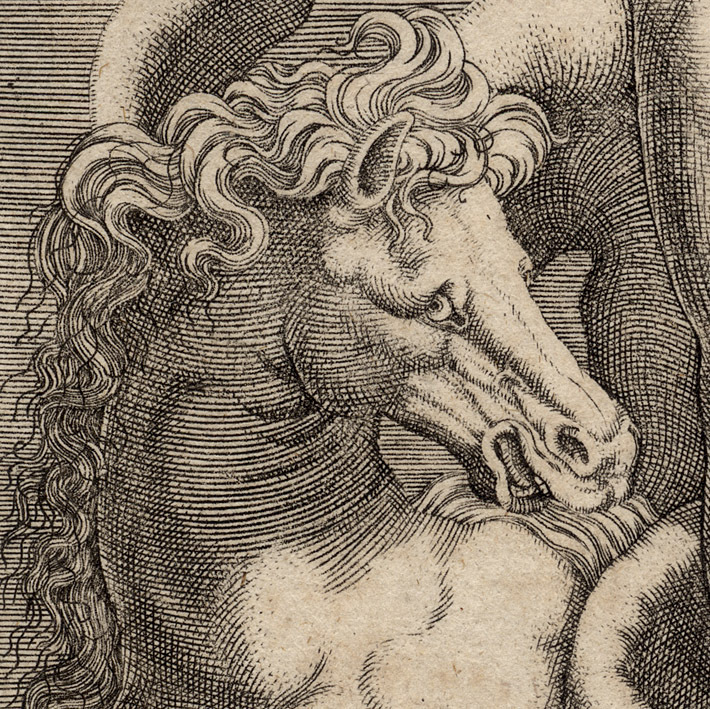 I am selling this engraving of exceptional rarity (this print has not been listed in an International auction for 25 years!) for AU$573 in total (currently US$429.86/EUR383.05/GBP326.21 at the time of posting this print) including postage and handling to anywhere in the world. If you are interested in purchasing this museum-quality engraving that is so rare that even the most important texts on Renaissance prints fail to feature a quality illustration of it (see, for example, the poor impression held by the British Museum even “The Illustrated Bartsch” [(1986) 31-1 (398), p. 83] only shows a copy by an unidentified artist made after it), please contact me (oz_jim@printsandprinciples.com) and I will send you a PayPal invoice to make the payment easy. 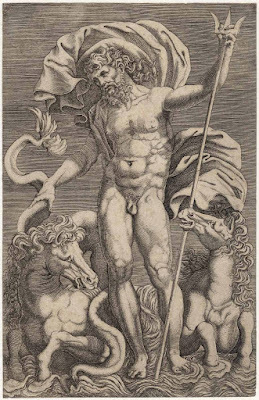 Giorgio Ghisi is one of the more important 16th century printmakers and the reason is not simply that his use of the burin (i.e. 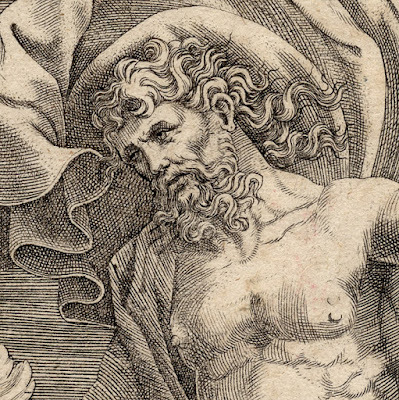 the engraver’s tool) is delicately sympathetic to the subjects he portrays, but that he was able to craft images that moved beyond a formulaic approach to rendering. 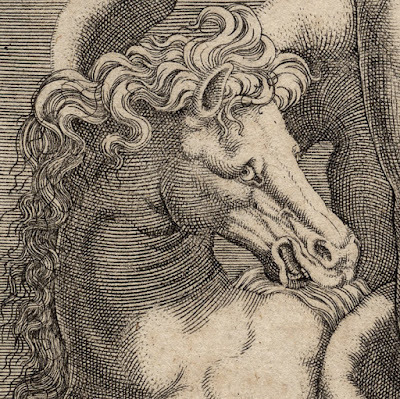 What I mean by this—and I apologise in advance to those that may not agree with me—is that many of his fellow engravers at the time, especially those in Italy, tended to use an almost perfunctory/arbitrary code of mark-making for their prints. By contrast, Ghisi ensured that his use of line and dot was critically important to the subject portrayed. 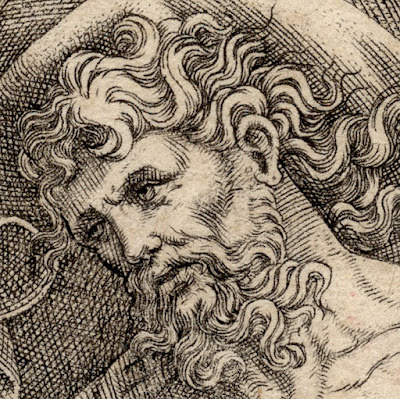 Evelyn Lincoln’s (1999) in “The Invention of the Italian Renaissance Printmaker” offers the following insight into Ghisi’s approach: “Giorgio Ghisi avoided … mechanical shading combinations and difficult-to-read images by working the surfaces of his plates until they were so covered with tone that he could pick out the brightest lights by judiciously opening the net of marks” (p. 125).